Enchanted Excurse: Do You Smell A Rogue? Do You Smell A Rogue? Today we went to the library and I checked out a few books I have been wanting to read. Well two of them I have just read. Now I need to see if there are more and find them!! They are awesomely good. 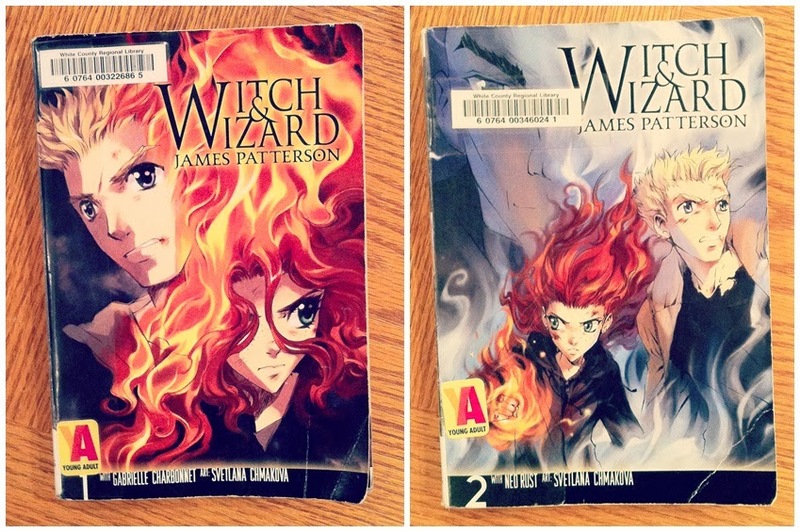 They are Witch And Wizard graphic novels by James Patterson. Such an easy read graphic novels are. lol I also like to look at the illustrations. They are very cutesy sometimes. I love it!! Witch And Wizard is basically about the N.O. taking over. It is some kind of government I guess you can say, and the leader is a wizard. But he has all the young Wizards and Witches locked up, killed, and tested on. But of course there are the Allgoods, such a confusing last name, he basically want's their powers. Well that's a little bit of information. I don't like to spoil it!! One other thing I must share. Remember how I like to get samples of perfumes to try out. Well, guess what? I have actually found one that isn't stinky!! I actually love it. It took me a day to decide it, but YAY!! 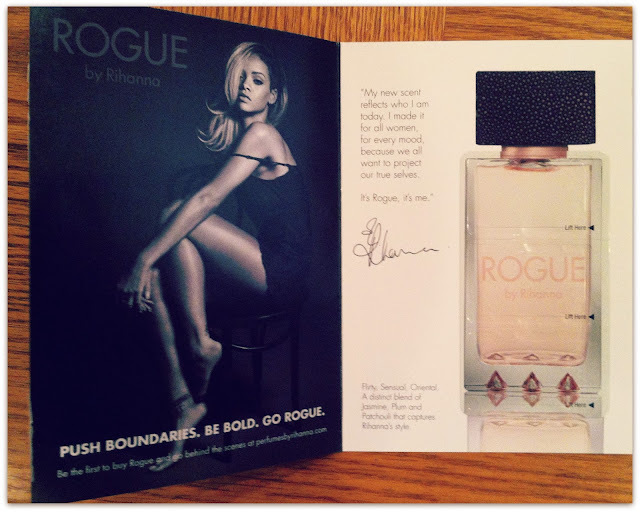 It is Rihanna's Rogue perfume. It isn't too strong. It actually has a very sweet sent to it. The description on the paper it came on states "Flirty, Sensual, Oriental. A distinct blend of Jasmine, Plum and Patchouli that captures Rihanna's style." YAY!!! A sample that has it's own description of the ingredients for once!! I did not see it on the Killer Queen sample or the Gucci Guilty sample. (which was a very strong smelling perfume sad to say). I believe I would actually pay money for this perfume. It is just that nommy smelling. lol Alrighty enough jabbering for today!! Ta Ta For Now!! Sometimes I smell like a rogue.